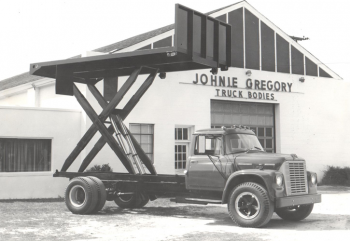 Johnie Gregory Truck Bodies, Inc. claims a history of over 125 years. Since it’s founding, the business has maintained the same high level of craftsmanship and quality. In 1890, James A. Gregory opened a small blacksmith shop where he made and repaired wagon wheels, as well as, built wooden farm carts and wagons for local farmers. Also, he developed and patented the Gregory plow that helped improve cultivation methods. One of James’ seven children, Johnie Proctor, joined his father in the shop and learned the trade of metal work. Building his first truck body in 1927, Johnie Proctor realized the need for quality truck bodies built to the customer’s specifications. In 1944, he established his own shop, opening doors of opportunities for generations to come. Raising his son, Johnie William, in the family business, Johnie Proctor’s hard work and efforts continued. Building his first truck body in 1950, Johnie William began working full time in 1954 upon graduating from high school. 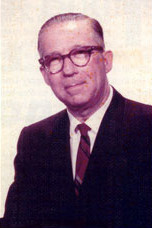 By 1969, Johnie W. began running the business with his wife Ann at his side. The company grew and produced some twenty truck bodies a month while installing truck tandems and hydraulic hoists. The fourth generation of Gregory’s – Danny, Tim, Jay, and Jim – learned the truck body business throughout their teenage years. In addition to the metal trade, they learned that with hard work came commitment and responsibility. Johnie taught his sons how to be honest businessmen while taking pride in their accomplishments. Today, Johnie Gregory Truck Bodies, Inc. remains in operation on Old U.S. Highway 17 in Hertford, North Carolina. Proud and committed, Tim, Jay, Jim and Tim’s son Ashley continue to manufacture quality, custom built, truck bodies. They offer flatbeds, grain bodies, dump bodies, or any other type requested. In addition, they can alter truck chassis by shortening and lengthening wheelbases and installing truck tandems. Being a small business, the Gregory’s are able to see to each job themselves and to guarantee the quality that is Johnie Gregory Truck Bodies.